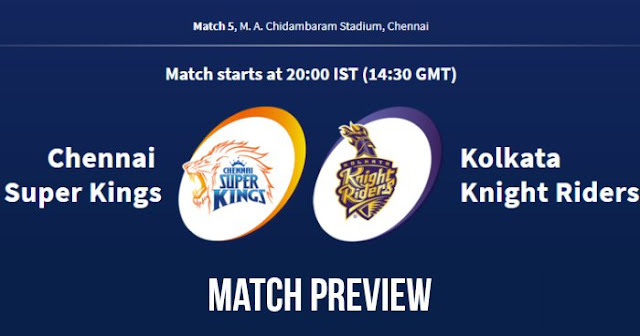 Home / Chennai / Chennai Super Kings / Chepauk Stadium / IPL / IPL 11 / IPL 2018 / IPL 2018 Match Preview / Kolkata Knight Riders / IPL 2018 Match 5 CSK vs KKR: Preview, Prediction and Head to Head: Who Will Win? IPL 2018 Match 5 CSK vs KKR: Preview, Prediction and Head to Head: Who Will Win? Chennai Super Kings (CSK) and Kolkata Knight Riders (KKR) will play the 5th match of the 11th season of Indian Premier League (IPL 2018) at M.A. Chidambaram Stadium, Chennai on 10th April 2018. As far as weather is considered, Clear skies have been forecast while the temperatures will be around the 30ºC mark but real feel will be around 35ºC with a high humidity of 79-82%. After two years Chepauk will be coloured yellow. M.A. Chidambaram Stadium’s pitch is a bowling friendly, helping more in the second innings. While average runs are around 160 but have also seen 200+ inning score. Most probably team batting first wins here, in IPL 2015 CSK won 6 of 7 matches played here while batting first in all the inning. Both teams are coming with the win in their first match of the season. Chennai Super Kings won the opening match of the tournament against Mumbai Indians at their home which was a nail-biting one. On the other hand, Kolkata Knight Riders beat Royal Challengers Bangalore at home. Kedar Jadhav, who suffered a hamstring pull during Chennai Super Kings' one-wicket victory on Saturday night against Mumbai Indians, could be out of action for the next couple of weeks. 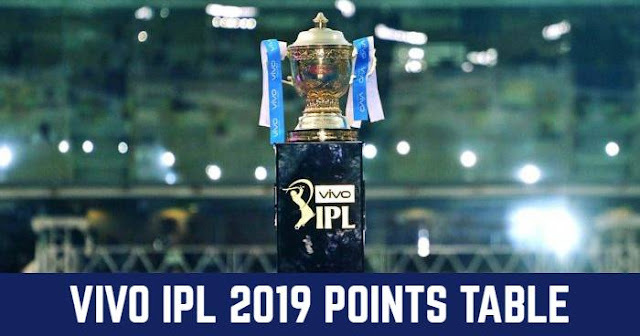 As CSK bowlers looked ineffective against Mumbai Indians, Shardul Thakur can replace Mark Wood and also injured Kedar Jadhav can be replaced by Faf du Plessis. KKR pace attack was struggling against RCB in the last match, mainly Vinay Kumar and Kuldeep Yadav. With 19 man squad KKR doesn’t have many options for replacement, KKR may replace Kuldeep Yadav with Kamlesh Nagarkoti. Chennai Super Kings and Kolkata Knight Riders had played 17 matches against each other in IPL out of which CSK won 10 of them and KKR won 6; one match abandoned due to rain in Cape Town. At M.A. Chidambaram Stadium, Chennai, famously known as Chepauk Stadium, of 7 matches played CSK had won 5 of them and KKR won only two. Playing XI for CSK: Shane Watson, Ambati Rayudu, Suresh Raina, Sam Billings, MS Dhoni(w/c), Dwayne Bravo, Ravindra Jadeja, Harbhajan Singh, Deepak Chahar, Imran Tahir, Shradul Thakur. Playing XI for KKR: Chirs Kynn, Robin Uthappa, Dinesh Karthik (c & wk), Nitish Rana, Andre Russell, Rinku Singh, Sunil Narine, Piyush Chawala, Kuldeep Yadav, Vinay Kumar, Tom Curran.